Britain's Duchess Catherine's mother Carole Middleton helped out busy bar staff at her local pub in Berkshire by serving customers pints. 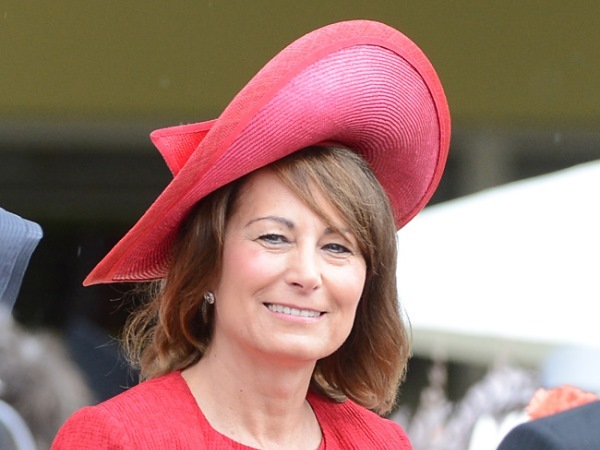 Britain's Carole Middleton tried her hand at being a barmaid at her local pub. Duchess Catherine's mother jumped to the rescue of stressed bar staff at the The Bull Inn, her favourite haunt in the village of Stanford Dingley, Berkshire, by helping them serve customers from behind the bar. The former air stewardess joked, "I have done this before! ", as she started pulling pints. A source told The Sun newspaper: "Carole was pulling pints and doing it very well. She pulled a mean pint. Everyone was amazed to see Prince George's gran behind the bar." The paper reports that Carole had been attending a memorial service with a group of friends earlier in the day and was about to sit down for dinner at the 15th century pub when she realised staff were overstretched. The 59-year-old mother of three has just returned from a holiday at luxury villa in Mustique with her family to celebrate her birthday, which fell on January 31. Catherine and seven month old Prince George joined the Middleton family on the Caribbean island for a relaxing break and stayed in a $13,000-per week four-bedroom house which boasted extensive staff, a gardener and two pools.